Grid is about distributed processing – either task parallelism or data parallelism – i.e. break a problem into small tasks and run them in parallel (task parallelism) or run the same task on as many data sets as possible & then coordinate the results (data parallelism). Cloud computing is neither. 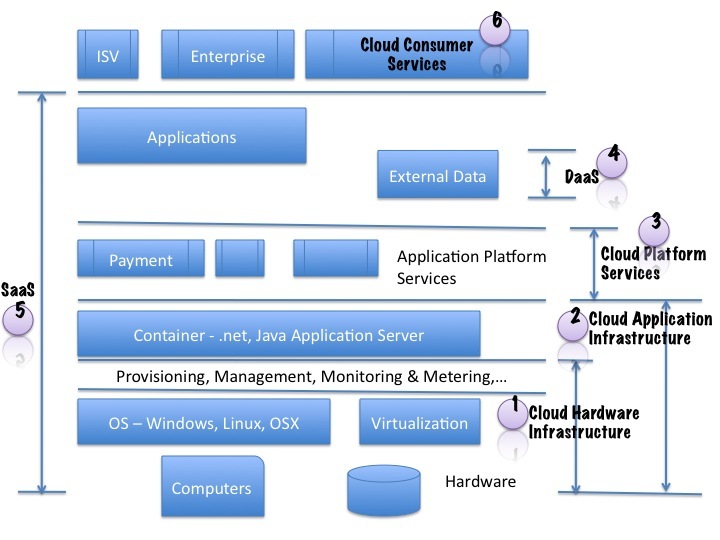 The confusion could be because cloud can be used for HPCC but that is an after effect. But in many ways, grid is about maximizing the resources, i.e. run in as much (and as many) instances as possible, while the cloud focuses on acquiring just enough resources to perform a computing function, at any point in time, and releasing excess resources – a just-in-time philosophy. In short, we cannot see Cloud as an extension of grids (because of the similarities in locality – actually non-locality – and elastic nature) but we should look at cloud computing as the evolution of virtualization. This distinction is not theoretical, but there are pragmatic implications – the architecture (the data, control and management planes) and the artifacts thereof, will reflect our conceptual view of the domain. So it is important that we get the conceptual underpinning right. On reflection I think both ‘The Cloud is what The Grid could have been’ and ‘Cloud is the next evolution of virtualization’ hold true. Most importantly though, cloud computing is user-centric, focusing on meeting the needs of the user (even if virtualization is a means to that end). The case against ‘private clouds’ – a [counter]example.